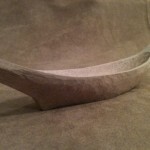 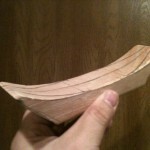 Last night while my wife was visiting our neighbors I sat down and carved out this little model canoe (7×1.5×1.5). 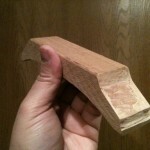 I’ve included some steps in its construction. 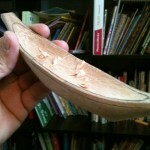 The blocking out was done with a jig saw, but a scroll saw or bandsaw would have been much nicer. 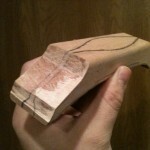 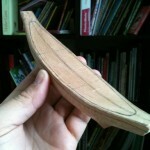 My next model canoe will be about twice this size, when things get too small they actually get harder to carve.